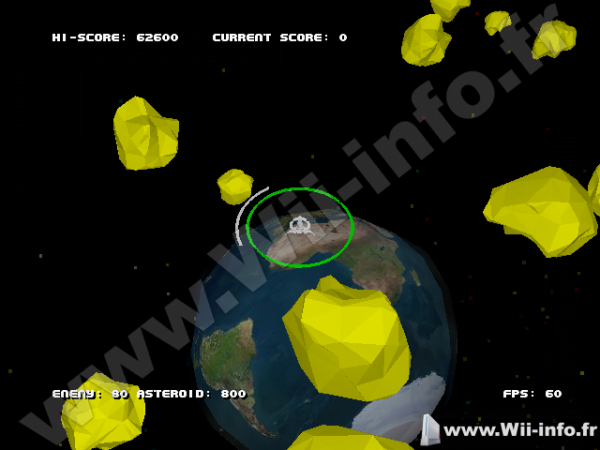 Voici un outil made by JoostinOnline et stfour. Settings Editor permet de modifier divers options du système de la console. - You can now define settings in ploader/present.cfg and quick-load them. This is paticularly useful on the Wii U, because it resets some of your settings on boot. You can also set what channel to exit to. - Updated some of the postLoader code. - Changed license to GPL v3.0. - Greatly improved the speed of debug logging. - Fixed the bug where the wrong resolution was displayed on the Wii U. 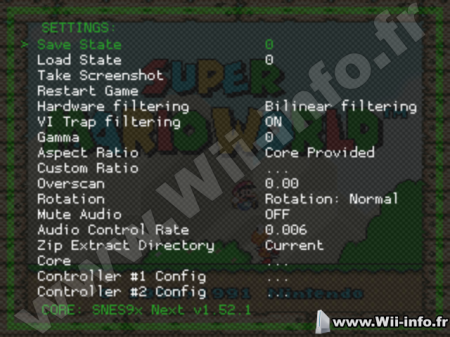 - Improved method for detecting the Wii U (thanks crediar). 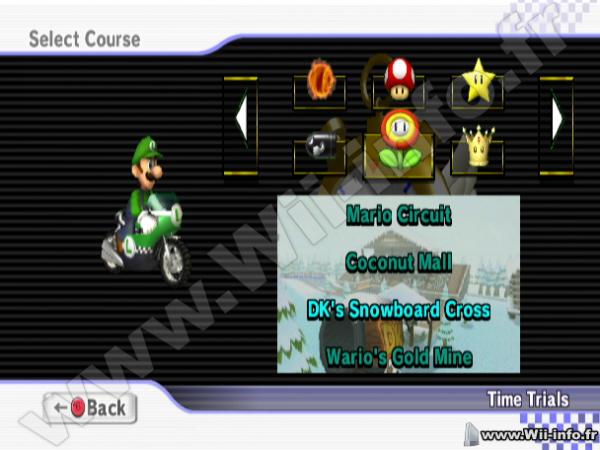 - Video mode is no longer hidden on the vWii, as it can be used to enable Progressive Scan on Devolution. Stability has been improved. In particular, the custom model for the QTreeView now handles all required signals correctly. Some parts of the program now utilize C++ 2011 functionality. A compatibility header has been included for older compilers. The toolbar that was formerly located in the "Memory Card" view is now a window toolbar, and contains additional items, such as the "Preferred Region" selection. Added preliminary support for displaying scanning progress in the taskbar. Currently, only the D-Bus DockManager protocol is supported. Support for Ubuntu's Unity and Windows 7 will be added later. GcImage and Checksum functions have been split out into their own library, libgctools. This library depends on libpng but does not depend on Qt. Added support for the Qt translation system. Currently, translations for en_US, en_GB, es_CL, and "1337" are included. Fixed some corner cases with full memory card images and certain save files. Support for Japanese save files is improved. Added preliminary support for compiling with Microsoft Visual C++. The primary distributions will still be compiled with gcc/MinGW. Banners and icons can now be exported as image files. Banners and non-animated icons are always exported as PNG. Icons can be exported as APNG, PNG (file per frame), PNG (vertical strip), and PNG (horizontal strip). Added "Preferred Region" support. Some games don't have any way to determine the region by simply looking at the description, and in some cases, might be identical in every way other than the region code in the game ID. "Preferred Region" allows you to specify which region you want to prefer in the case that multiple save files in different regions are detected. Added support for multiple database files. The included databases are now split by region, e.g. USA, JPN, etc. 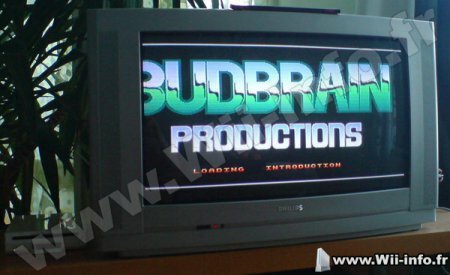 Homebrew and Unlicensed titles are also contained in their own databases. Added a new utility "gcbanner". This utility can extract banner images and icons from GameCube BNR1 and BNR2 opening.bnr files as well as Wii save files (both raw banner.bin and encrypted save files). 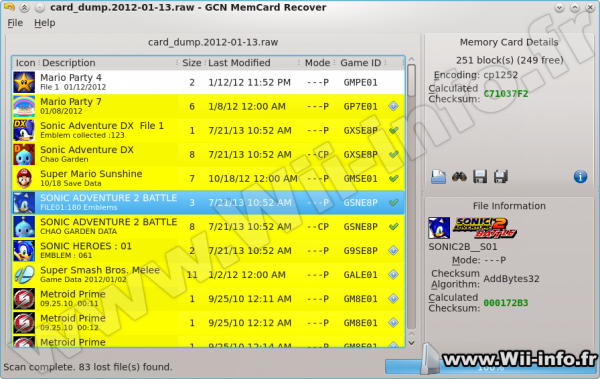 Animated icons can be extracted to the same formats supported by GCN MemCard Recover's icon extraction function. Banners and static icons are always extracted in PNG format. The current directory and block tables can now be switched on the fly. This may allow for easier recovery of files that were deleted in the GameCube file manager, as long as no other files have been saved or updated in the meantime. 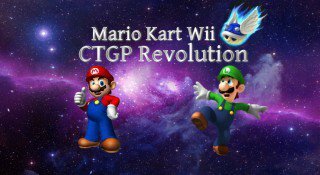 Voici CTGP Revolution, un pack de custom tracks pour mario kart, crée par MrBean35000vr and Chadderz. Une bonne centaine de circuits personnalisés vous sont offerts ici, de quoi passer de bons moments devant la console. reading source images failed, if using stdin for parameters. - All commands detect and accept GCZ files as input file. - New option --gcz force GCZ output. doesn't allow modifications (size of compressed data must not change). patching checksums and header after writing the complete image. images and don't be anger, if it destroy something. De l'eau à coulé sous les ponts depuis la dernière version stable de ScummVM pour Wii. 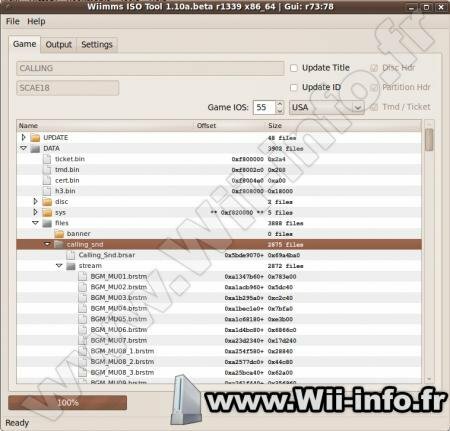 En effet, la version Wii est en 1.5.0 alors que la dernière stable pour les autres plates formes est en 1.6.0. Mais voici la toute dernière version bêta de la future version, à savoir la 1.7.0. J'aurais jamais pensé voir ça mais ... Une drogue du nom de Nintendo est en service en Belgique. Cette drogue est basée sur l'ectasy et présente le logo de Nintendo sur le côté. 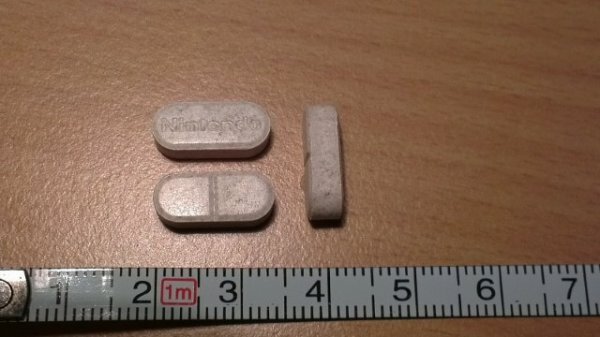 While the drug has surfaced thanks to a program in Belgium where individuals can bring their substances in for a quality spot-check, the origin has not entirely been established, though reports suggest it could originate from China. * 11:15pm - my friend is literally rolling around the floor and i'm complaining that nothing is happening. * 12pm - both rolling hard, i'm guessing because it's our first time its real strong for us, we're rolling everywhere, staring at my lampshade and laughing for ages, saying how pretty the walls and lights are! The comments at PillReports.com corroborate the strength of Nintendo, but there's also a ton of misspelled words and typos so take those with a grain of salt. Bien entendu, nous ne cautionnons pas l'achat de drogue. Nintendo a tenté d'empêcher une entreprise italienne de fournir des services de hack de consoles (Wii/Wii U/DS/3DS). Les arguments de la boite italienne sont qu'ils ne font que permettre l'accès à des lecteurs de vidéos ou de MP3 tout en n'allant pas à l'encontre de copyright. Nintendo peut seulement se protéger d'actes non autorisés de reproduction, communication ou d'offre publique de contenu soumis à copyright. Hors ici, ça n'interdit pas l'utilisation d'équipement de hack. Ils ne peuvent donc qu'interdire l'utilisation de jeux piratés. RAPPEL : Vous comprendrez donc pourquoi il est totalement interdit de parler sur le site de jeux obtenus illégalement. RetroArch se met déjà à jour pour corriger des bugs présents dans la dernière version. 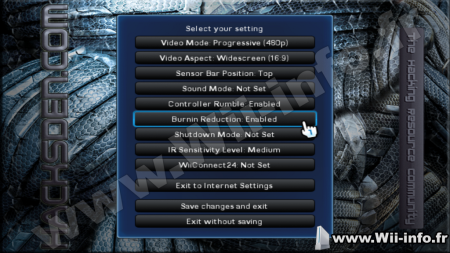 (Core) Added MusyX ucode for RSP HLE – fixes sound in these games – affects games like Hydro Thunder, Gauntlet Legends, Biohazard 2/Resident Evil 2, etc. Graphics in Resident Evil 2 still messed up though with RSP HLE – change to CXD4 RSP for now to render the graphics accurately.